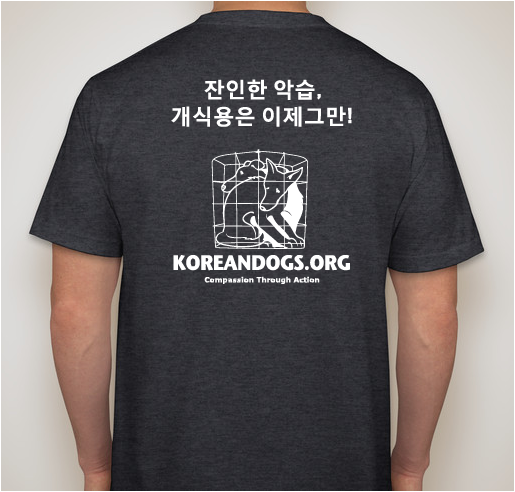 Wear one of our shirts! 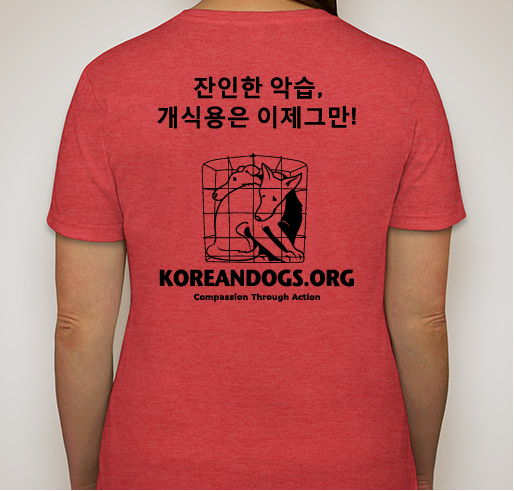 Help fight the South Korean dog and cat-meat cruelty and bring awareness to our campaign. 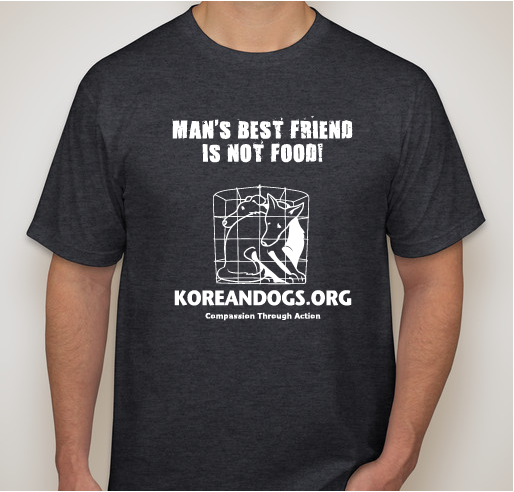 100% of the funds raised from the sale of these shirts will be donated to the Busan KAPCA(Korea Alliance for the Prevention of Cruelty). 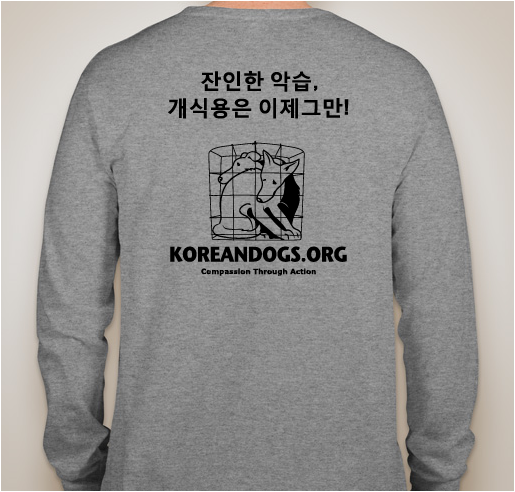 All funds raised will go to KoreanDogs.org , the organizer for Help support campaign against the dog and cat meat cruelty in South Korea..
South Korea has the world’s 14th largest economy, it is not a poor country; it is home to global brands such as Samsung, Hyundai, Kia, LG, SK, and Daewoo. 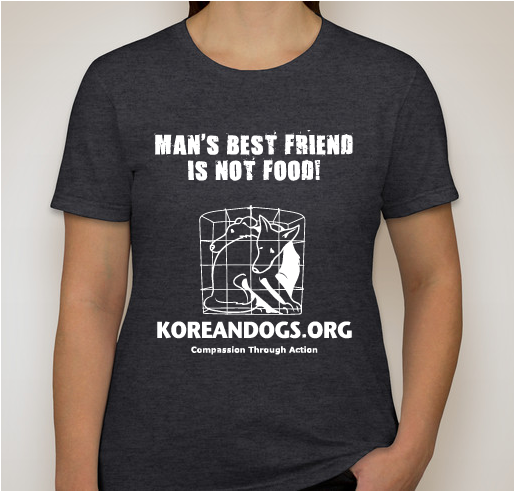 But, incongruously, this is also a country where an estimated 2.5 million dogs and thousands of cats are slaughtered and eaten each year. 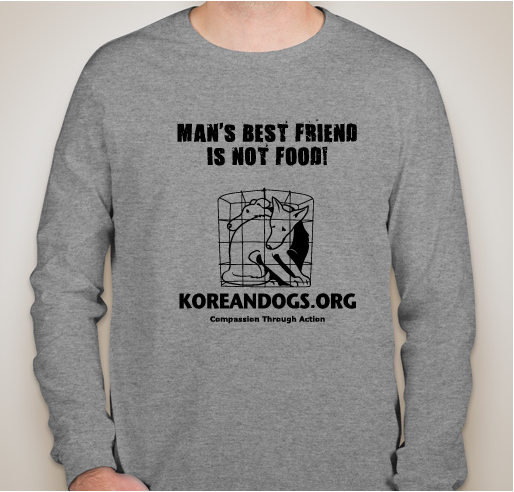 Forced to endure deprivation and unimaginable torture, from the moment they are born until the day they are slaughtered, dogs are imprisoned in cramped, filthy, raised cages all thr lives, with no protection from extreme weather. 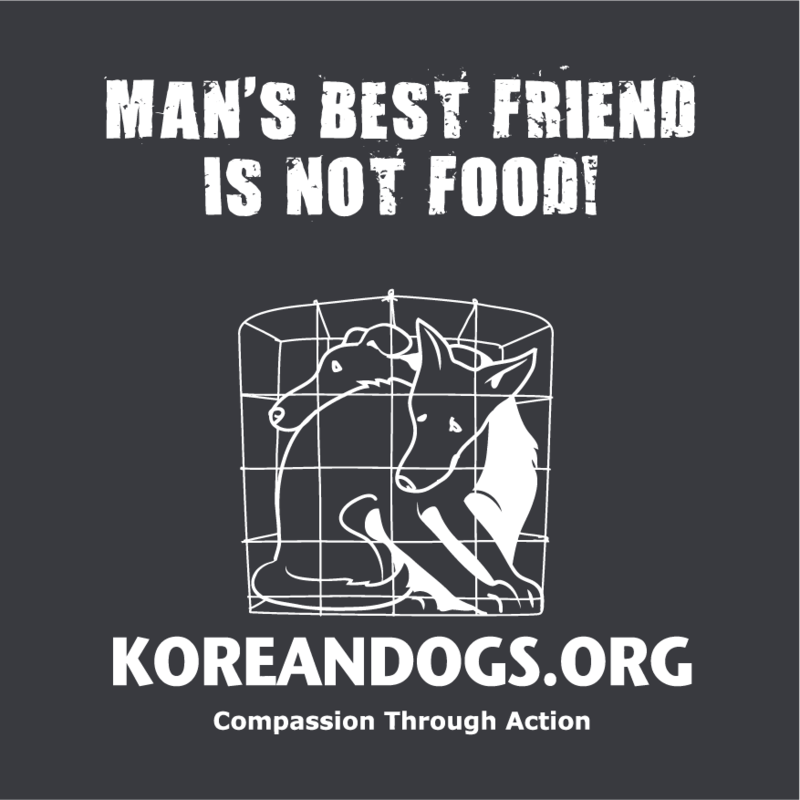 They get no water, exercise, companionship or medical care, and they lie or stand on wire caging - they never get to feel the ground beneath their feet - and their eardrums are often burst to deter barking. 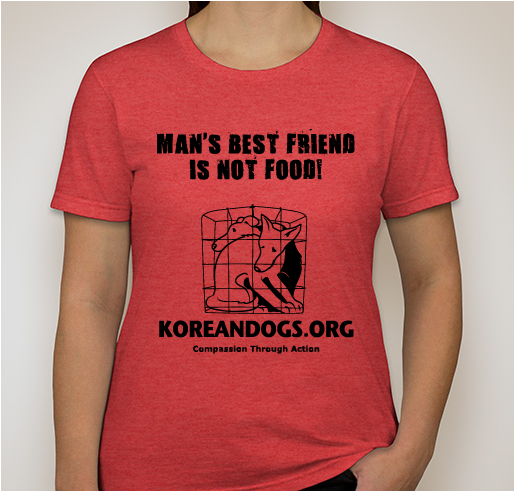 In broad daylight, often in front of other living dogs, these creatures are slaughtered in painful and inhumane ways: they are electrocuted, hanged, beaten, have their throats slashed, or are boiled or burnt to death. This is a profit-driven, tax-free, unregulated industry that aggressively promotes the myth that eatingogs enhances male virility and stamina. 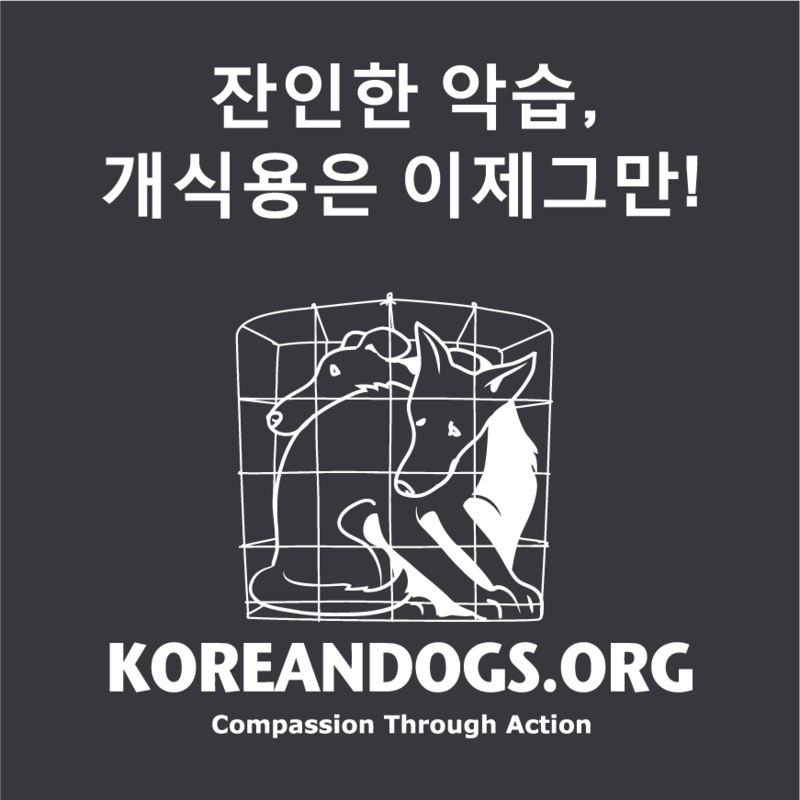 And, consumption peaks during the hottest days of summer (Boknal). As a dog mom of 3, I can't imagine torturing animals this way. People need to help educate this woefully primitive and heinous culture. They are no better than the sicko poachers and trophy hunters. 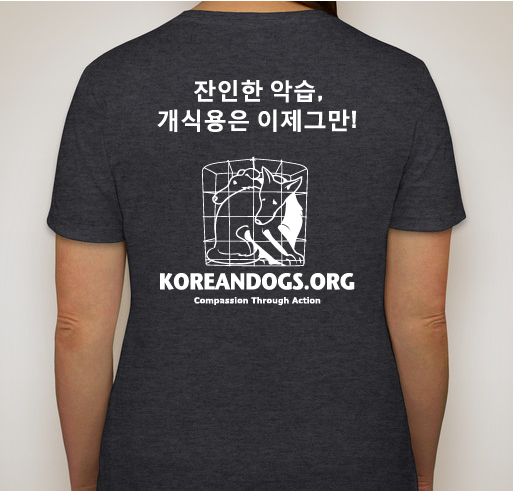 Share Why You Support "KoreanDogs.org - Help Support Busan KAPCA (Korea Alliance for the Prevention of Cruelty to Animals)"